While this balmy weather is willing to stick around though, I think it would be wise to get outside and work on whatever outdoor projects you might have tacked onto your list. It is always more pleasant to work outdoors when the weather is pleasant, than to tackle outdoor work in freezing rain, snow and other inclement weather. Is it too early to put up your Christmas lights, do you think? Roof: The average lifespan of a shingled roof is approximately 18-30 years. Wood shakes are 14-20 years, and slate, clay, tile, or steel roofs last about 50 years. When was your roof last replaced? What kind of shape is it in? Do you have loose or missing shingles? Have you noticed any leaks? You might want to consider repairing or replacing your roof now, if you have any concerns, long before Mother Nature tests it this coming Fall/Winter. Eavestroughs: While you are up on your roof looking at the shape of it, get close enough to the edge to take a peek at your eavestroughs. Did you get up there last Fall and clean out your gutters? Have they filled back up again yet? Really, you should clean out your eavestroughs two or three times a year. And in case you didn’t guess, it is far easier to scoop the sludge of out congested gutters when the weather is dry and warm, than when you have to perch on a ladder in inclement weather. Grab some rubber gloves, a trowel and the hose. If this job is done regularly, it is fairly quick and painless. Make sure to tap in any loose nails while you are up there. 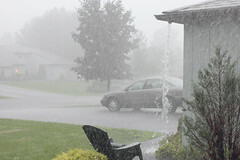 Clean gutters ensure better drainage during rainstorms, which makes for less overall maintenance in the long run. Downspouts: Clean eavestroughs are one thing, but your downspouts are a big part of the equation too. The downspout directs the water that comes off your roof, away from your house. If your downspout is clogged, loose, broken, or missing altogether, then you will see issues with your eavestroughs and potentially the foundation of your home. 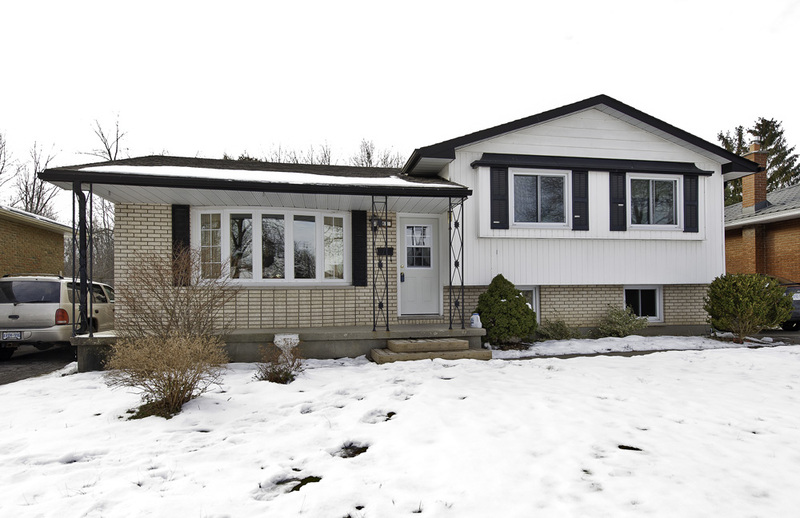 Take the time before issues arise to make sure that your downspouts point away from your foundation (no need to deal with flooding in your basement), and that they flow freely. Bricks: If you have a house made of brick, maintenance is usually fairly minimal. They are generally fairly energy efficient, and always architecturally in style. Bricks do need some basic maintenance though. Start by looking at the brickwork on your chimney, but make a point of inspecting the whole house to see what shape the bricks are in. Do you have any loose or missing mortar between the joints? 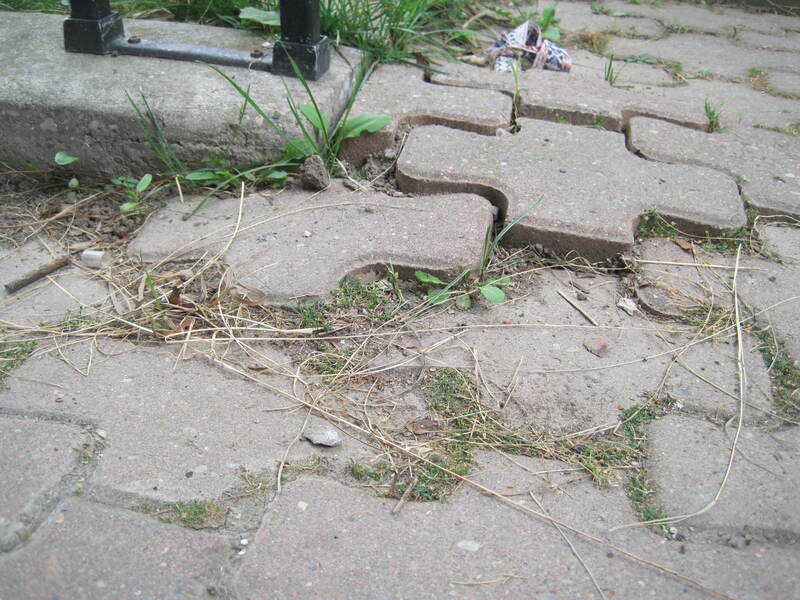 Are your bricks flaking or falling out altogether? Is there dirt, mold or moss growing on them? Grab the hose and give your bricks a good soaking. If you have mold, mildew or moss, a simple bleach and water solution will help to eliminate the issue with the help of a natural bristle brush. If you need to point your bricks, now is the perfect time to hire a contractor to rectify any imperfections that might lead to bigger problems down the road. Foundation: Have you noticed we are moving from the top down? As any good plumber will tell you, gravity is what it’s all about. 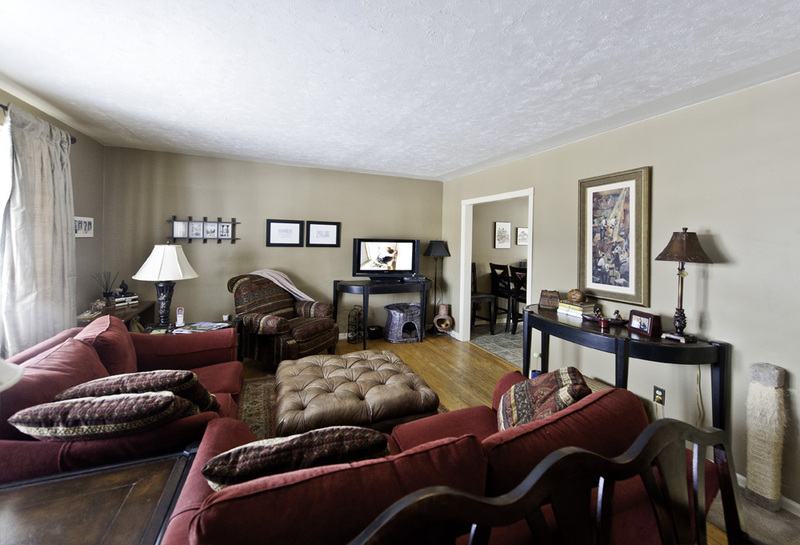 If you have any issues with the upper parts of your home, they will often trickle down. The foundation of your home is where the strength of your home lies, so do not forget it when you do your Fall inspections. Look for cracks and crevices that may let in water and caulk any holes that you find. Significant gaps may require the help of a professional, and now is the time to get them in, before the wet weather arrives. Pool: While you might be diving into your pool this week, it is just about time to say goodbye to outdoor pools for the season. If you hire a professional company to close your pool, make your phone call quick before they get booked up too soon. If you close your pool yourself, make sure that your pool cover is in good shape with no holes, rips or tears in it. You will want your pool to be as clean as possible when the warm weather returns again next spring. 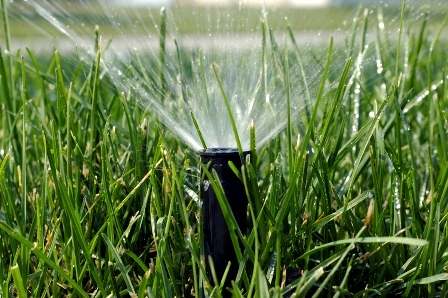 Irrigation Systems: We might not have had much rain in the last few weeks, but it’s coming. The season is almost over for active growth in your yard. It is time to think about draining hoses, and turning off inground irrigation systems. Again, if you use a professional company for this service, now is the time to book your appointment for them to come out before you have to deal with frost in the ground. There is still plenty of time for some of the other outdoor projects you will need to tackle this fall, like raking leaves, putting away your garden tools and machines, and storing your patio furniture for the year, but this is a start on your list. Heck, it’s too HOT to do much more than this right now! Enjoy our blast of summer weather while it lasts! Did you feel that? I think oxygen returned to the air when the humidity broke. We might just be able to go back outside to enjoy the patio again! What? Your porch is in shambles? Your patio is a pass? With the cooler temperatures that have moved into Southwestern Ontario and swept away the heat wave that gripped much of the Eastern US and Canada last week, we can all look forward to breathing a little easier again. Perhaps it’s high-time that you get a little work done outside the house now. If you have stayed away from the porch due to rotten boards, peeling paint or just a general state of ill-repair, take the bull by the horns and move this outdoor project to the top of the list. Take a good hard look at what you’ve got and assess whether this is a job for Superman You or whether you need to call in a professional. If construction is more than you can normally shake a stick at, then don’t add to your pocket book’s woes by taking on a project that might cost you far more when a contractor has to come dig you out of a mess farther down the road. Look at the extent of your project and estimate what it would cost to tackle the job yourself. Is it just a matter of slapping on a fresh coat of paint or stain? Then go for it! Does it look like you might have to rebuild stairs, railings or support structures? Perhaps an estimate from the pros might be in order. Wondering what to look for? Check for loose or punky boards. Watch out for nails that are ready to cause a trip hazard. Assess the shape of your surface (is it peeling, fading, streaked, rough?). 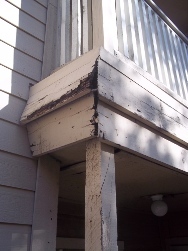 How solid is your porch as a whole (are you in need of new support columns to keep it level)? Is mold, rot or animal infestation an issue? Is it too hot to sit on (solution – thinks shades or umbrellas)? Are your railings to code (you need a guard railing if your deck is 60 cm or 24″ above the ground and they should be a maximum of 100 mm or 4″ apart)? Is this all more than you can wrap your head around? Call in the professionals when in doubt. If you are feeling brave, ask the folks at your local hardware store for some pointers. And remember that the internet is a great place for how-to articles and videos to make any DIY project a breeze. If you can’t remember the last time you partied on your patio, why is that? Is there insufficient seating? Are you lacking in lighting? Does your patio’s surface look like Great Aunt Elsa’s spider veins? It’s time to tackle the patio repairs. Patios may equate to more or less effort in the home repair department. If you don’t go out to your patio due to overbearing sun, than a simple umbrella might be the solution to your woes. Of course an awning, pergola, or some sort of permanent roof structure would offer shade on a larger scale too. Seating is often as simple as picking up chairs at a local department store, but have you thought of built-in benches, or adding a swing to the mix? You could light the night with anything from citronella candles, to solar lights, to custom lanterns that offer a cozy glow after dark. The choice is yours! Maybe you crave some heat after dark. Does a fire pit fill you with wonder or would a gas heater in the corner do? Sadly, the patio’s actual surface is often the biggest culprit to a lack of time spent on it. Patio bricks are only as good as the prep work done before they are installed. Sinking stones make for an uneven surface and trip hazard. Weeds, molds, or moss make for an unattractive finish. Can you fix that yourself, or is it worth the money to call in contractor? If you aren’t using your patio, isn’t it worth it to add the extra space to your real estate? Spring is coming. It officially arrives tomorrow, despite the weather man’s forecast. Never mind that though. The best way to distract from his dreary reports is to dream of the warmer days ahead. That means we can begin to look forward to spending more time outdoors and sprucing up our outdoor living spaces. What does yours look like? Do you have a quiet shaded nook that you can escape to with a good book? 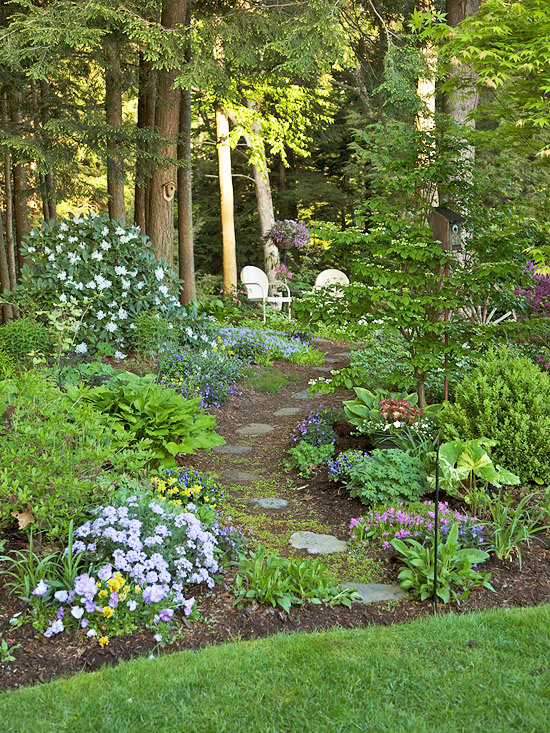 Turning your shade garden into a backyard retreat is just the thing! 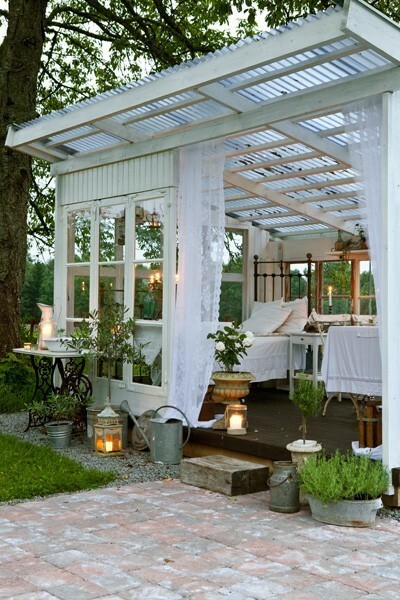 How about a covered space to watch a gentle summer rain or perhaps camp out on a warm evening? Adding a bed to your sun room might be perfect! 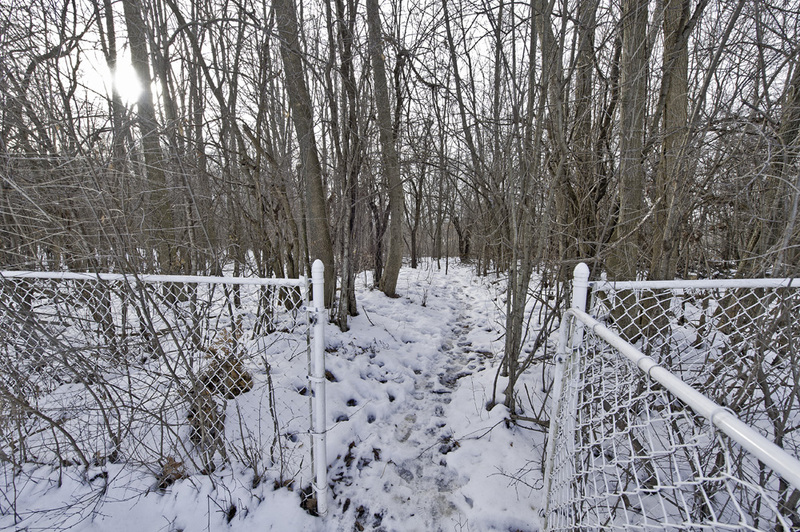 How about making your outdoors more attractive now, despite chilly temperatures? An outdoor fireplace might be just the thing to extend your outdoor living space further into the Spring and Fall, like the one seen here. Even a simple rustic setting can be transformed into a welcoming space. A few simple chairs, pillows and scatter rugs can add a homey feel to any living space, both indoors and out. How do you extend your living into the outdoors when the weather warms up?